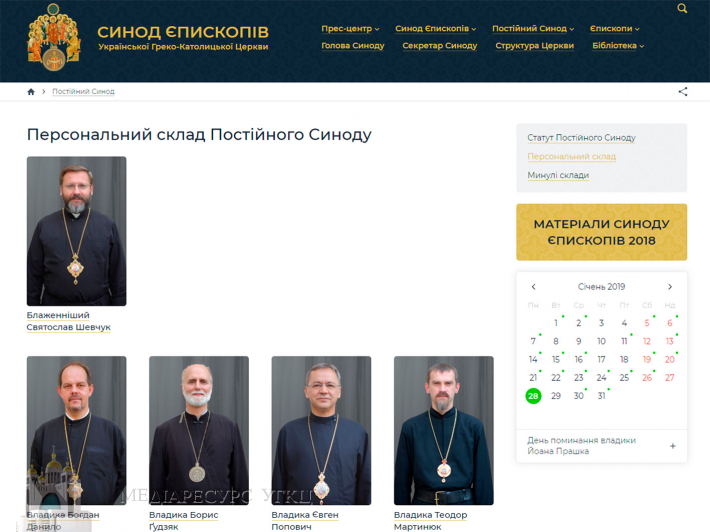 The new website will provide information on the structure of the UGCC, in particular, the map of all dioceses and exarchates, the members of the Synod of Bishops with their relevant data, historical information related to the hierarchs of the UGCC in Ukraine and abroad, including those who carried out their episcopal ministry in the past. • decrees, communications, poster letters and other documents approved during the Synod’s meetings. • interviews and comments, sermons and speeches by the UGCC rulers, in particular the Chairman of the Synod – His Beatitude Sviatoslav, and the Secretary of the Synod - Bishop Bohdan Dziurakh. A library of various kinds of religious publications, photo reports, video and audio materials, as well as archives of documents of previous meetings of the Synod of Bishops of the Ukrainian Greek Catholic Church is also noteworthy. The press service of the Secretariat of the Synod of Bishops of the UGCC invites volunteers and church entities to cooperate for more expeditious adding of meaningful content to the site and exchange of the necessary and interesting materials and news stories.